MONDAY, Nov. 10, 2014 (HealthDay News) -- The cost of skin cancer treatment in the United States more than doubled between 2002 and 2011, and rose five times faster than treatments for other cancers, a new study found. "The findings raise the alarm that not only is skin cancer a growing problem in the United States, but the costs for treating it are skyrocketing relative to other cancers," said study lead author Gery Guy, of the division of cancer prevention and control at the federal Centers for Disease Control and Prevention. "This also underscores the importance of skin cancer prevention efforts," he added in an agency news release. The analysis of national data showed that the average annual number of adults treated for skin cancer increased from 3.4 million in the years 2002-06 to 4.9 million during the years 2007-11. At the same time, the average yearly cost of skin cancer treatment climbed from $3.6 billion to $8.1 billion, an increase of 126 percent. 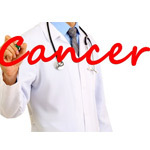 During the same period, the average annual cost of treatment for all other cancers rose 25 percent. The study findings were published online Nov. 10 in the American Journal of Preventive Medicine. Skin cancer is the most common type of cancer in the United States, and nearly 5 million people are treated for the disease every year. Exposure to ultraviolet light in the sun's rays is a major cause of skin cancer. Trying to stay in shade, especially during midday hours. Wearing clothes that cover your arms and legs, a hat with a wide brim, and sunglasses that block both ultraviolet A and ultraviolet B rays. Using sunscreen with a sun protection factor (SPF) of 15 or higher and both UVA and UVB protection.